An image of the progress on the Second Avenue Subway tunnels and caverns as of Jan. 21, 2012. MANHATTAN — In the wake of safety violations issued by a federal watchdog at the Second Avenue Subway construction site, a contractor spent Monday morning refitting some 150 workers to make sure their respirators fit properly, according to MTA officials. The move came after the Occupational Safety and Health Administration found one worker with an ill-fitting mask was exposed to potentially hazardous levels of the substance, silica — which can cause the fatal lung disease, silicosis — during an inspection last year, authorities said. OSHA officials said the worker was exposed to dangerously high levels of the airborne carcinogen at the East 69th Street Second Avenue Subway construction site. According to citations issued to the contractors this month, the worker was spotted wearing an ill-fitting respirator while spraying shotcrete — sprayable concrete that contains silica — on tunnel walls during an inspection on Nov. 9. On that day, OSHA workers found silica levels that were three times the acceptable daily limit of 13.5 millions of particles per cubic feet. It's not clear if the worker has since become ill.
After the inspection, OSHA issued $8,500 in fines for "serious" violations to the contractor, a joint venture of Schiavone, Shea and Kiewit, and gave them until April 20 to remedy the situation, the citations said. One of the violations was for the ill-fitting respirator and the other was for the high levels of silica. It's not clear if the violations have been rectified or the fines paid. "Worker safety is one of our top priorities and the contractor has assured us that they have been working collaboratively with OSHA to address these violations," an MTA spokesman said. A spokewoman for the contractor said that the "allegations are under review," adding, "We are cooperating fully with OSHA and will continue to do so." The inspection was prompted by concerns of Assemblyman Micah Kellner, whose constituents have long been complaining about the dust and odors because of subway construction, according to the New York Post. "We were concerned about the health of the community and the workers," Kellner told DNAinfo of his reason for reaching to OSHA and other agencies overseeing the project. OSHA's findings, he said, "reinforce that we, the community, need to be vigililant and make sure that the MTA and contractors are following the rules, regulations and protocols." Many Upper East Siders claim they've developed chronic coughs, asthma and other problems they believe are associated with the blasting for the massive project. Around the neighborhood, people call it the "Second Avenue cough," and their fears prompted the MTA to conduct an air quality study. The MTA, however, said its independently-conducted study by Parsons Brinkerhoff — using minute-by-minute data for various pollutants, including silica, at 10 above ground locations between East 69th and 87th streets over a four-week period beginning last Sept. 12 — found no harmful levels of pollutants. 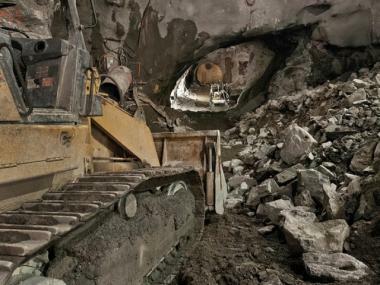 MTA officials emphasized that the levels of silica found in OSHA's "preliminary findings" in the tunnel would not affect the air at street level. "Silica does not float in the air but rather drops to the ground," an MTA spokesman said, "so it is essentially impossible for it to impact the air quality at the street level 100 feet above." Residents remained concerned about issues at the work site, in general. Kellner said his office gets flooded daily with phone calls and pictures of workers at the subway construction site not hosing down dust properly or of dust swirling out of improperly covered trucks.